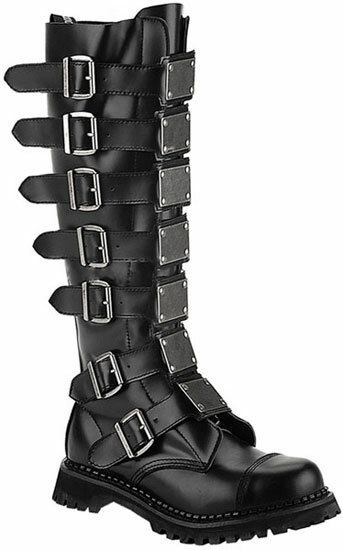 Knee high black real leather combat boots with 7 buckled straps. Each strap has metal plates with rivets at the four corners on the front. 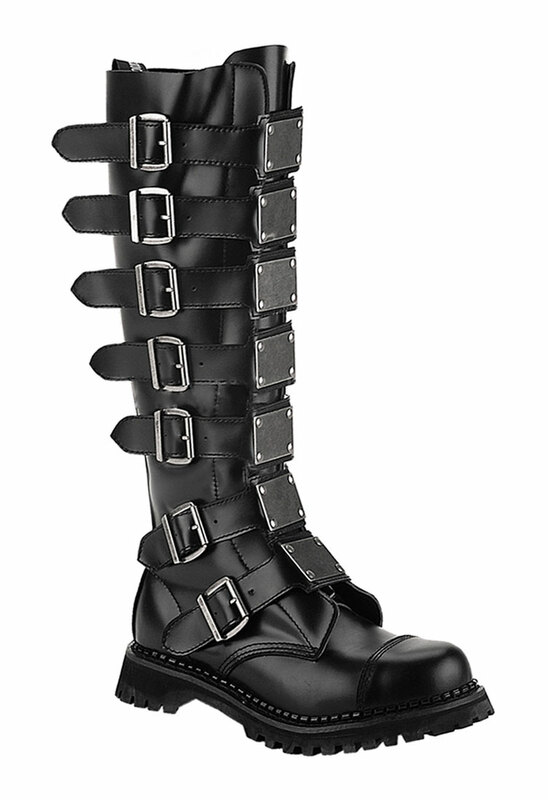 The heel height on this boot is 1 1/2 inches and comes with a full length inner zipper for easy on and off. 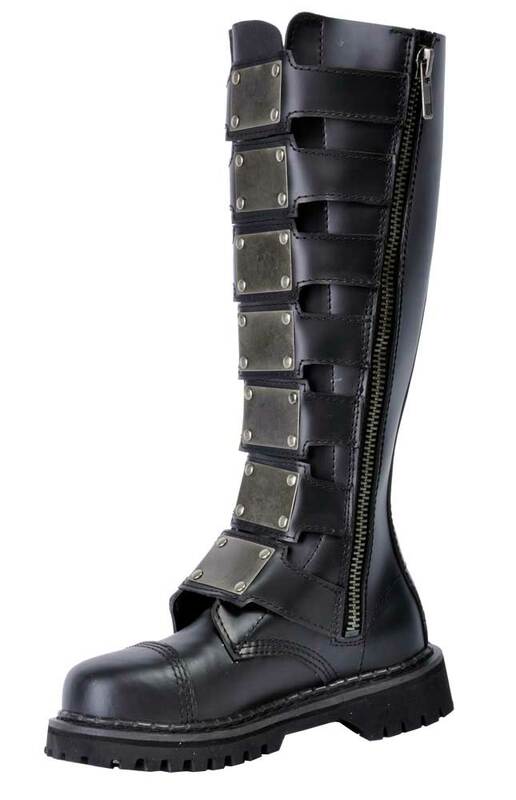 This boot also features a steel toe. I'm in complete and total love! Everyone keeps stopping me to take pictures and ask me where I got them. Perfect design, perfect fit, it's full of awesomeness, I cannot thank Rivithead more for how awesome they are for delivering the best pair of boots that I've bought so far. These boots are great! I have bo qualms with them. My only issue is that they slide down on my legs. But its not the boots fault. Its mine. My calves are shaped weirdly so thats whats causing them to slide down. Over all great boots! Would reccomend to anyone! These are the best boots on here. I just got mine in november. Dont wear them too often though, you dont want to wear them out. They do last long when taking care of them. I plan on buying pretty much everything on this site that a man could wear, including unisex items. I noticed a lot of things are gone since they moved and I realy hope they bring that stuff back so I can give them all my money. This was my first putchase from rivithead and now I am a die hard fan. But i wonder what exactly do you have to do to keep this leather healthy?